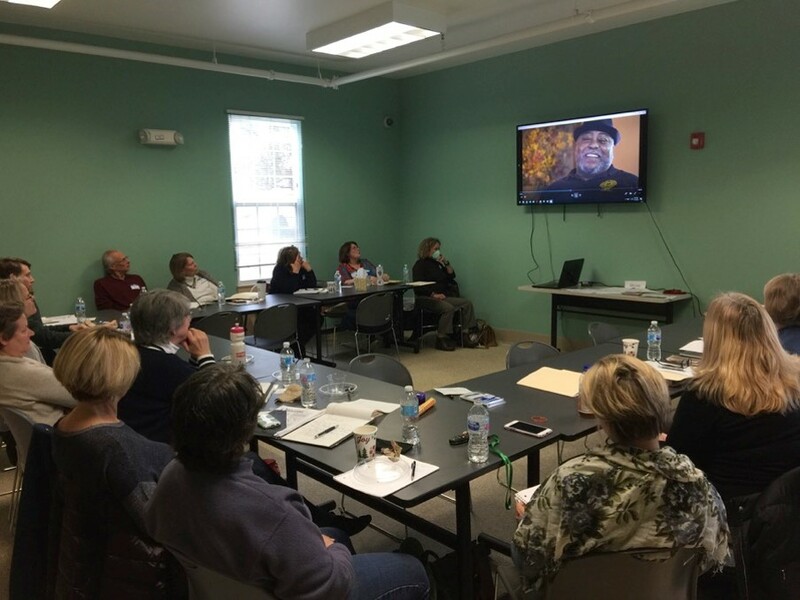 Ardath Cade Scholars Making an Impact - Arundel Community Development Services, Inc.
Ardath Cade Scholar Shawn Rice completes his BPI (Building Performance Institute) Certification Training in an ACDS-owned rental home. As the resident looks on, Shawn explains the process of pumping air through the front door in order to reveal any leakages throughout the home. 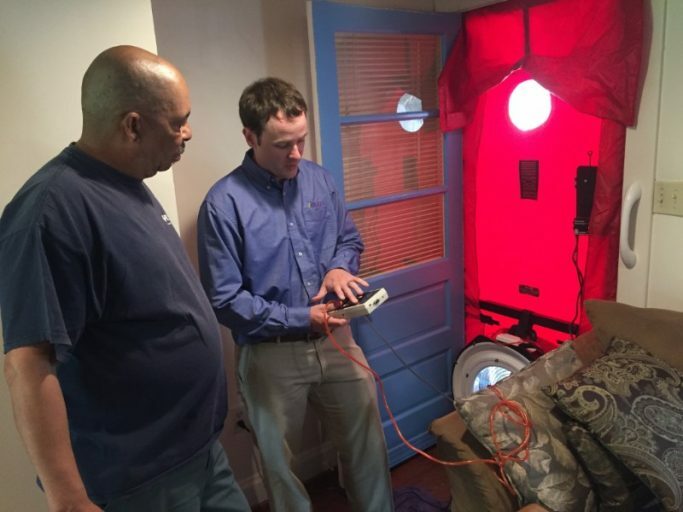 This analysis helps energy auditors achieve the highest possible efficiency of HVAC systems and low and moderate income homeowners/renters achieve utility savings. Shawn’s training was made possible by an Ardath Cade scholarship of $1,000, covering his tuition costs for the course. As a certified Energy Auditor, Shawn will help ACDS use its resources as effectively as possible to provide quality affordable housing in our County. If you are employed or volunteer in the housing and community development field within Anne Arundel County, you may consider applying for an AMC scholarship to help defray professional development and leadership training costs. To view our application Click Here. These scholarships were only possible thanks to donors like you. Available for all emerging leaders in the housing & community development field in Anne Arundel, the scholarship provides much-needed funds for tuition and training costs. Click here to make a tax deductible donation to the Ardath Cade Scholarship Fund today.